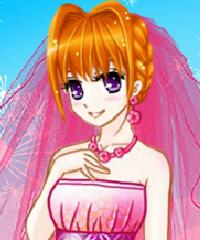 Anime dress up game. Dress up this cute anime bride. Find her the perfect hairstyle and accessories for her big day.